YS Rajasekhar's most rare pic at age 16. The first person from the left. The pic at an age of 16. Y.S. 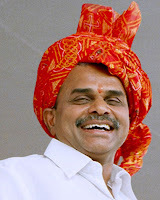 Rajasekhara Reddy (8 July 1949 – 2 September 2009), popularly known as YSR, was a two-time Chief Minister of the Indian state of Andhra Pradesh, serving from 2004 to 2009. He has been viewed as the most popular chief minister of Andhra Pradesh.His popularity is often attributed to various welfare schemes and development programs he championed for the people of his state. In the words of Yahoo 'YSR was a mass leader who ruled the hearts of people in Andhra Pradesh'.The BBC called him a champion of social welfare schemes.